There is so much cool teaching stuff out there in Web-land! The problem is, I can fall through the rabbit hole and get lost in there. 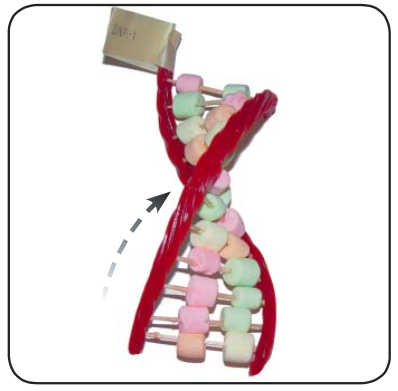 Best online find of the week: edible DNA molecule model! Yesterday my husband left me in Barnes and Noble with my laptop. When he returned an hour later, he asked what I’d been doing. “Twitter,” I replied. “The whole time? !” He was aghast. It didn’t seem all that incredible to me: there were at least 5 interesting articles and a new book, the first chapter of which I could access, recommended by key people and organizations I follow. I hadn’t even gotten to my second group! But the problem is, I just don’t have 2 hours a day to browse Twitter. And then there’s Pinterest…. First, remembering why I’m on Twitter—to help my students learn better and to be continually growing myself as a practitioner of my discipline and as a teacher. Result goal: I’m looking especially for ideas on YA lit recommendations and on disciplinary literacies. Aligning this with an annual growth goal might be effective. This helps me not get distracted (oh, look, another C.S. Lewis joke) and increases the probability I will accomplish the biggest goal—raising my students’ learning. First, I created Twitter lists (reading/writing & education in general) so I can be sure I see in a limited time resources from individuals and organizations I find most helpful. And second, I explored chat (#NCTEchat). The chat was Sunday night, and I didn’t get to it until Tuesday, but this way I could scroll through the comments, get an idea of how it works, have time to follow the links that looked interesting, and not feel like I needed to hang around for the whole chat. The chat topic wasn’t high on my goal list (I need to be wiser there), but I did glean a cool math activity (percentages of myself poem) and a gorgeous new favorite poem and poet (“Forgetfulness” by Billy Collins). (Other chats I’m interested in #satchat, #edchat, and #engchat. Find one you’re interested in here.) Eventually I’ll have to become a contributor, not just a lurker, but I’m giving myself some time on that one. 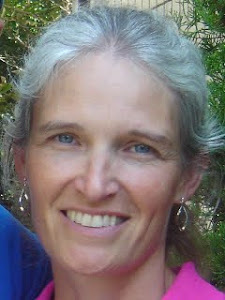 For more information on using Twitter for professional development, read this blog. It’s the blog I would have written if I had just a little more experience and knowledge—it contains both what I’ve learned and what I want to learn. How about you—what pitfalls, tricks, and triumphs have you found using Twitter?